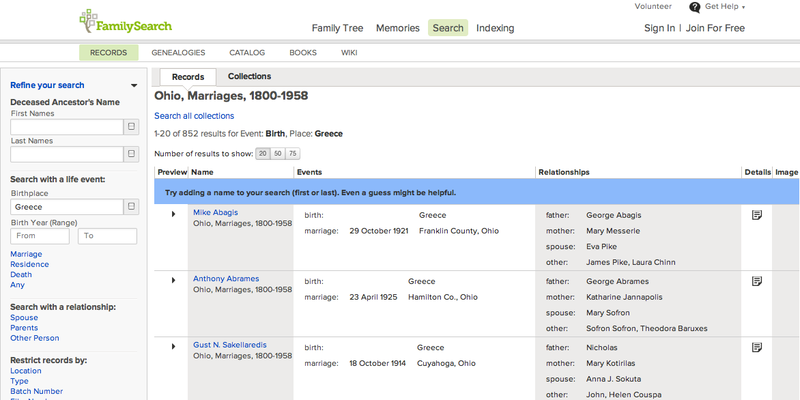 FamilySearch.org offers a FREE database titled OHIO, MARRIAGES, 1800-1958. It includes 852 people who have Greece listed as their place of birth. This index is an electronic index for the years 1800 to 1958. It is not necessarily intended to index any specific set of records. This index is not complete for any particular place or region. This collection may include information previously published in the International Genealogical Index or Vital Records Index collections.